Changing how you eat and live is a journey, not a race! Start by selecting one or two tips for healthier living and focus on them. Each week try changing or adding in another suggestion. 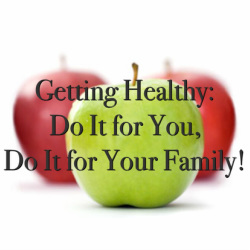 Before you know it healthy eating and living will become natural and without effort! Fresh is best! Make fruits and vegetables the main portion of every meal. Include more leafy greens, whole foods and lean meats. Read labels. Become familiar with nasty ingredients. Know exactly what you are buying. When selecting packaged or processed foods look for items with a total of 5-6 ingredients or less and know all the ingredients. Get good quality sleep. Your body heals while you sleep, aim to get 7-8hours! If you don't know a label ingredient or can't pronounce it, you probably shouldn't eat it. Be in the know! The American Heart Association's (AHA) daily recommendation for sugar consumption is: Adult women 5 teaspoons (20 grams) of sugar per day, adult men 9 teaspoons (36 grams) and children 3 teaspoons (12 grams). Know the math, 4 grams of sugar is equal to one teaspoon. Drink more water. Your body is composed of about 70% water, hydration is important for good health! Reduce Stress. Finds ways to slow down and decrease stress. Meditate, exercise, practice yoga, spend time in nature, read, write in a journal, breathe deeply, laugh, take a bath, play with a pet, get a massage, listen to music. When possible choose organic. Organic products, produce, meats and dairy have less pesticides, toxins, antibiotics, high fructose corn syrup, hormones and GMO's. Buy local. Choose farm to fork. Get to know your local producers and suppliers, many farmers grow using organic farming methods but are not certified. Practice mindful eating. Don't eat at your desk, on the run or in the car. Stop to eat without distraction and listen to your body for cues when you are hungry or full. Include good fats in your diet, extra virgin olive oil, coconut oil, avocados, seeds, nuts and omega-3's from clean sources. Get active. Start slowly and increase to moderate or vigorous physical activity. It can be sports, going for a walk, a bike ride, swimming, walking the dog or planting a garden, the possibilities are endless. Just get moving! Add flaxseed, hemp hearts, chia seeds, raw seeds or nuts to your smoothies, salads and meals for added nutritional benefits. Nurture your gut health, invest in a good probiotic! "70% of the human immune system lives in the gut," Dr. Frank Lipman.